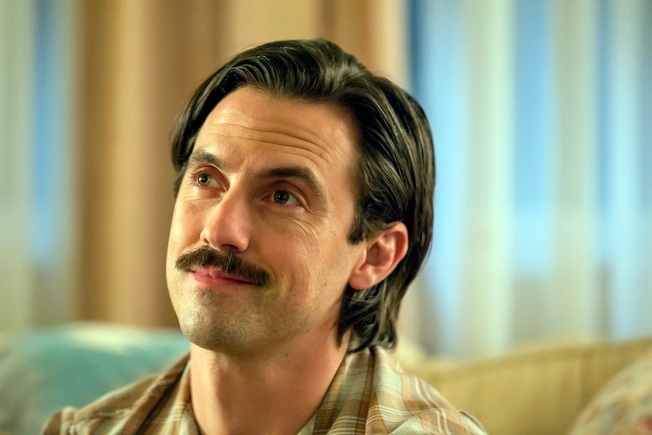 THIS IS US -- "Three Sentences" Episode 113 -- Pictured: Milo Ventimiglia as Jack. The same day NBC’s "This is Us" Super Bowl episode revealed the aftermath of a fire that started inside the Pearson home, the Encinitas Fire Department decided to get in on the action — while avoiding the drama. As a tie-in to the season premiere, which aired after the Super Bowl, the department started the "Fire Safety Challenge" on Twitter. Senior Deputy Fire Marshal Kerri Berberet tweeted a photo of herself checking her own smoke alarm. "The last two episodes showed a missing battery in a smoke alarm and the latest episode showed a fire occurring in the home in the evening time when everybody was sleeping, and the fire actually coming up the stairwell and the occupants of the home being greeted with fire at their door, which I tied back to the missing battery in the smoke alarm," Berberet told NBC 7. The department is challenging their Twitter followers to reply to the department’s post with photos of themselves checking their smoke alarms as well, she said. Its #smokealarmchallenge time! Here's a pic of our fire employee testing her smoke alarm-she said it works! "We’re inviting our Twitter followers to participate in the challenge, not only to recognize the benefits of having a working smoke alarm but to also challenge them to test the smoke alarm and verify there are batteries in place and that it’s working," she said. Berberet said she watches the show every Tuesday night and appreciates that its writers are using their platform to raise awareness about the importance of smoke detectors. "It’s awesome that they’ve shown that there is no battery present," she said. "I’ve seen a lot of the Twitter chatter, so people are recognizing that they had no battery in their smoke alarm and tying it to the possible reason why." Every home should have at least one smoke alarm, and Berberet recommends people have one on every floor and in every bedroom. "Early notification of smoke presence is a huge thing," she said. "It’s basically your No. 1 line of defense to get you out of a home safe." People should check their alarms every month to make sure there are working batteries inside. Twitter users who want to participate have until midnight Sunday to post their photos. The department will announce 15 winners on Tuesday.